Happy Friday to you! I have another great giveaway for you today, this time from DuckaDilly fabrics, a wonderful shop out of Ann Arbor, Michigan that specializes in Liberty of London fabrics. I think I mentioned it before, but I love that their shop name, DuckaDilly, was the the nickname that Winston Churchill gave to one of his daughters, Marigold, which is also their logo. Of course you can also buy Liberty by the yard (minimum cut is 1/4 yard). And if you’re looking for a fun way to add a bit of Liberty to your wardrobe, these city gym shorts only require about 1/2 a yard of fabric. They’ve also just received Liberty chambray and cotton fleece, just in time for some Autumn sewing! Today DuckaDilly is offering a very generous prize (oh, how I wish I could win!). The lucky winner will win a $100 gift certificate to the shop!! Just think of all the lovely Liberty you could add to your stash! To enter, please leave a comment here (one per person, please! If your comment doesn’t show immediately, never fear! It may just need to be approved on my end, and I’ll go through and do that periodically). The giveaway is open through Sunday evening and at that time I’ll select a winner and update this post. Update: A winner! 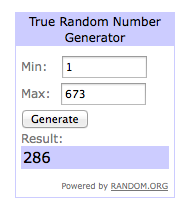 Random.org has selected #286 as our winner, Kandyce, who said “oh, gosh. i would love to make a liberty quilt.”. A big congrats to you! I think you’ll certainly be able to order enough Liberty for a beautiful quilt! While it’s not a requirement, I do hope that you’ll take some time when you have a chance to hop over and take a look through the DuckaDilly shop – I know Lesley would appreciate having you take a peek! And in case you’re tempted by anything, Lesley is offering 10% off through August 17th (excluding gift certificates or subscriptions) with coupon code FITF10. You can follow DuckaDilly on Instagram or on Facebook for updates! This entry was posted in Fabric, Giveaway! and tagged duckadilly fabric, Fabric, Giveaway!, liberty of london. Bookmark the permalink. 673 Responses to Friday giveaway from DuckaDilly! What a great name! I would love to win!! What a generous giveaway! Glad to know about this store. Thank you and DuckaDilly for a wonderful giveaway. I have been visting this site periodically dreaming of joining the liberty club- it is just heavenly! Thank you for this chance. What a great giveaway. I’m going to the website now. Wow, what a giveaway! I would love to make those shorts out of the Liberty lawn like you did, and I’m also starting to plan to make a quilt like your Lattice Quilt (http://filminthefridge.com/2012/03/01/flea-market-fancy-lattice-quilt/) for my daughter’s “big girl” room… I think these fabrics could be perfect! Love Liberty and DuckaDilly! Getting one of their packages is such a treat!! Olá! Amei todos os tecidos! Posso participar mesmo estando no Brasil? What an exciting giveaway. I love the jelly rolls! I would love to win….Would love some Liberty! Thanks for the giveaway! Liberty fabric is so lovely to work with. Great to see that jelly rolls and other pre-cuts are now available. Off to check out Duck a Dilly. So beautiful. Thanks for the chance! An awesome giveaway! I would love to win! An awesome giveaway! I would love to win!!! What a great store name! Thanks for the opportunity for such a great give-a-way! What a lovely giveaway! Beautiful fabric! I would love to win this! So very pretty! Those fabrics exude happiness. Love the these fabrics. Absolutely beautiful. Oh I love Liberty fabrics, I get giddy every time I go to London and walk through those hallowed doors!! Fantastically beautiful giveaway! Thanks for the chance to win. Droolworthy fabric and a great giveaway! Chambray and fleece,can’t wait. I love looking at the lovely fabric at this store. A very generous give away. Liberty fabric is so great everything would look stunnig with it! Thanks for the giveaway! What a nice giveaway & beautiful fabric. Thanks for a chance to win! What a cute name! Love fabrics. I would LOVE to win this fabric! I haven’t seen this fabric here in Maine yet! Wow! I just finished my first project with Liberty. How generous! Is our love to win! Oooh! So much Liberty, how generous of Duckadilly. Thank you. Wow, what a giveaway! Thanks so much for the opportunity to win. I love that DuckaDilly offers precuts in the Liberty fabrics – what a great way to sample the fabrics without making a huge investment. Beautiful fabrics, thank you for the chance to win. Wow, what an amazing giveaway! Thank you for the chance. Wow! As a Brit, I would love to be able to buy a Liberty jelly roll here in England; not seen any yet. Such a lovely selection of fabrics. A very generous giveaway. The winner will be very lucky and, I hope, extremely grateful! I have always admired these fabrics!! To win would be spectacular! Thanks for the giveaway, and the lead to another great shop… I love the name so much, too! It is a perfect fit with their stock and aesthetic! Ann Arbor is relatively close to me, and it’s such a hot bed of fabric/quilty goodness! I’m dreaming of a Liberty Lawn EPP project, where I can really savor the deliciousness of the fabric between my fingers! Beautiful fabric. The possibilities are endless!! Here’s to hoping…! It would be so hard to decide what to get if I win – but I am up for the challenge! I love the fabric DuckaDilly carries and would love to win some! What a great giveaway! Such GORGEOUS fabrics! DuckaDilly is a great name and I LOVE Liberty so think I’ll just pop on over…!!! Beautiful fabrics and so cool that this store sells liberty pre-cuts! Lovin’ Liberty! Thanks FITF and Duckadilly! I agree a fancy fox quilt would look fab in liberty. Thanks for the chance to win. What a lovely giveaway! Will definitely check out the website. Wow! What great fabrics, and such an amazing giveaway! Wish I had checked out this shop BEFORE my current rainbow project. Thanks for hosting this fantastic giveaway! I visit her website often and hopefully her shop next week. I’m eyeing those jelly rolls. What a wonderful giveaway! Thanks for the opportunity. Gorgeous fabrics! Always love your blog! This is a lovely giveaway, thanks for the opportunity! Lovely Liberties … from a lovely stockist! What beautiful fabrics! Thanks for the giveaway! I just started getting into sewing and crafts and this would be wonderful! Thank you!! I love Liberty prints! But, I’m too poor to buy any, haha. I do so love the Liberty fabrics! I would love to work with some. Thank you for the opportunity. Everything I’ve been hearing about Dutch Madill has been awesome so far. Thanks for the giveaway! I have never bought Liberty fabric, but I would really like to splurge sometime. Thanks for the profile of the shop and the giveaway! I have never seen this fabric in the flesh, only photos, so I would love to win some and make a great quilt. Thank you for the generous offer ! Would love love love to win!!!! You have the BEST giveaways!!!! I really love Liberty fabrics but.. I don’t own any!!! Duckadilly seems like a great place for me to start a stash! Thank you I’m going to check them out! Great giveaway! All that gorgeous fabric would certainly be a fun autumn and winter diversion! What fun fabrics. Those jelly rolls are wonderful. What a glorious giveaway! Liberty prints are the love of my fabric life! Wow, she has some gorgeous fabrics in her shop! This is a super great giveaway and I’m sure the winner will be ecstatic! P.S. I LOVE your mustang quilt! Lovely collection of Liberty prints…thanks for the chance to win! Such lovely and timeless fabric. Liberty is my absolute favorite. I’ve been slowly stashing it to someday make an all liberty quilt for my bed. Thanks for the heads up on this wonderful store and I would love to win that gift certificate. That would greatly help to get me to the point where I could start my quilt. What beautiful fabric…thank you DuckaDilly! I am checking out this store. I do love those liberty fabrics! They remind me of the fabrics that were popular when I was a teenager in the 60s! I have always been a floral girl. Wow! This would be fabulous. Wow! Amazing giveaway and what a wonderful shop. I was trying to pick my favourite Tana Lawn but they’re all so amazing. And that fleece!! I was wondering what I would make and then, when I clicked on it, there was a great wee suggestion – a sweatshirt, it would be perfect for Autumn! Thank you for the chance and thank you to DuckaDilly for the generosity! What a fantastic giveaway! Thanks to you and Duckadilly for the chance! I adore these fabrics and follow duckadilly on IG. Thanks for hosting! Have a lovely weekend. I would LOVE, love to win this! I’ve never had the chance to have any of this beautiful fabric. Thanks! I had never been to that shop. So lovely! Great shop, love the name! So much Liberty to choose from will $100 be enough??!! I love Duckadilly! They have a great selection and are really very friendly. Thank you for this awesome chance to win! Wow, the stack of hexagons looks very inviting! So beautiful! Liberty does. It like no other! This is a super generous giveaway! Love me some Liberty! Eek! I’ve been wanting some liberty fabric!! Wow! What an amazing giveaway. I’d love to try some liberty fabrics! Liberty is my all time FAVORITE fabric!!!! I would love to win. Pick me, pick me…..
What a fabulous give-away! I’m looking for a new project; this would be perfect! Thanks! What a generous giveaway! It would be so difficult to choose what to splurge on. Absolutely beautiful fabrics! Thanks for the chance. Wow! What a wonderful giveaway…thanks to Duckadilly for the generosity as well! I’ve long wanted to touch the lovely Liberty fabrics in person!!! I was given a bag of scraps of lawn – some Liberty and I’ve just finished a ‘scrap vomit’ quilt. I should really think of a nicer name for all that Liberty softness. I’d love to do another, thanks for the chance to win. Wow… A whole shop of liberty. I so appreciate the many ways to buy. Thanks for the giveaway. Fabulous giveaway! Drooling over her shop. What a lovely giveaway, thanks to you both. What a cool name DuckaDilly is! Wow. This is great. I have seen some beautiful quilts made with Liberty Tana Lawn online, but it’s not exactly within my budget at this point. What a fabulous giveaway! Thank you. I’d love to win! I want to make a liberty patchwork quilt this fall! Oh my – I love that name! And look at all that fabulous Liberty! *swoon* Thanks for the chance! Terrific giveaway – thanks so much. 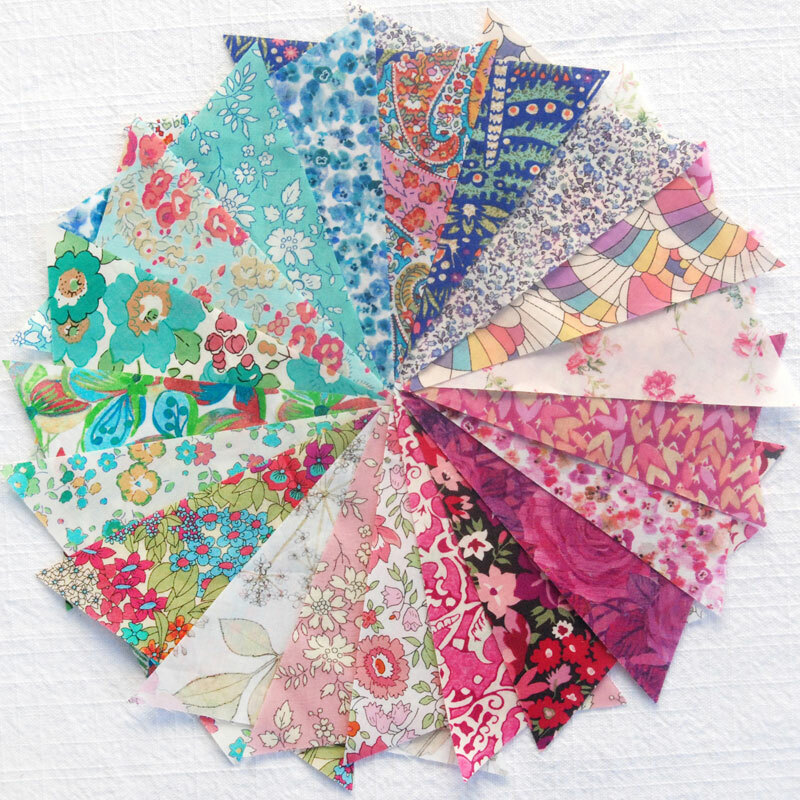 I really want to make a full swoon quilt with liberty fabrics and chambray. How dreamy! Yay for Friday giveaways!!! I was just on etsy the other night looking for some Liberty and was reluctant to pay the shipping from the UK. Just placed my first of many (I’m sure) orders from Duckadilly. Thanks ever so much and have a great weekend. Wow! Great selection of Liberty fabrics at DuckaDilly. I’d love to add to my collection. Would love to add some liberty to my stash! What a great giveaway! I would love to add some Liberty fabric to my stash. Thanks for the chance! Beautiful fabrics, and what a generous giveaway. I would love to win! I’d love to win some Liberty fabric! Thanks for the chance. Beautiful fabrics, thanks for the giveaway! DuckaDilly has a nice website! Thank you for the chance! I love Liberty and dream of a super soft and cuddly Liberty quilt. Would love to win, I love Duckadilly’s fabric collections!!! Lovely fabrics, and what a generous giveaway! Great fabrics! I hadn’t seen that line before. Oh how I love these fabrics! Wow I would love to win this. So many pretty fabrics. Oh wow, what an amazing giveaway! I have been adding slowly to my Liberty stash, waiting for the perfect project to come along… Haven’t found the perfect project yet, but I can always use more Liberty! What a generous give a way. Thanks for sharing this. Their shop is wonderful to visit and shop. I have been eyeing some Liberty and DuckaDilly has a great selection! Put me in the hat please! Such pretty fabrics – what fun it would be to win! I love liberty prints but am too much a chicken to spend that much on making something for myself. but now since I am going to have a girl and most baby patterns only require 1 yard I think I may take the plunge. Oh so much lovely! I would absolutely love to get some Liberty (it would be my first!). Thanks for sharing with us. I think I may take the plunge and make my new baby some liberty prints. I would love to build my stash if I win! I’m just starting to build my Liberty stash and this would be so welcome! I love the name Duckadilly and the fact that she’s in my home state. I hope to make a trip out there sometime after I get the kiddies back to school. I just droll going through her site. thanks for sharing another liberty fabric source! I love their liberties, especially the chambray! Fabric love for sure! Oh how wonderful it would be to win! I love Liberty! Love Love Love this fabric. Would love to win a chance at some for FREE. What an amazing giveaway! Thanks for the chance. This is a very generous giveaway! I would be thrilled to win. I own four liberty fat quarters and would love to add to that. Oh Liberty, how do I love thee? Let me count the ways. I wish I could get to Ann Arbor and visit the shop, but since I can’t, thanks for having it on line, as well. Love Liberty! I’m just learning English paper piecing and these would be perfect. I’m on the monthly DuckaDilly liberty club and it’s the highlight of my month! I’m addicted and would love to win! I am new to the DuckaDilly shop. Oh there are some lovely treasures there! I just recently bought my first Liberty tana lawn and I know there will be lots more coming into my home in the future. Heavenly! This is such a great giveaway! I would love to get a jelly roll and make the Fancy Fox Quilt! Oh My Goodness! Possibly the worlds best giveaway! Thanks so much for the chance to win, and for that coupon code! I think I’ll put it to good use. Happy Friday! What a very generous giveaway. Thanks!! Lovely, lovely LIBERTY!!! Would love to have some….everyone says they are divine! Thanks for the chance! Oh my goodness this is a prize of all prizes! I sure hope I win! What a generous giveaway! I’d love to finally get my hands on some liberty fabric! Ohhhhhh…. Love love liberty…can’t resist …hope I am lucky…swoon!! Wow, thanks for the chance to win! Oh what gorgeous fabrics, and what a great giveaway! Thanks for the chance to win. Oh what fun. I’d love a chance to win, thank you! What a great giveaway! I would love some Liberty in my life! Swoon! I love looking at Liberty fabrics and I would love even more to sew with them! Thanks to you and Duckadilly for this awesome giveaway! Also – I love the Steeplechase quilt and the artful way you used the prints and colors. Thanks for all the inspiration and eye candy on you blog. Thanks for the great giveaway! Liberty is so lovely! Wow, what a generous giveaway and a GORGEOUS shop! I have a chicken named Duck, who’s a Dilly! I LOVE liberty fabrics. I have never owned any of my own though. Thank you what a great giveaway!! Love Liberty fabrics! What a fun giveaway– thanks so much for hosting! This would result in one of the best shopping days ever! I bought a couple of Jelly rolls from Duckadilly and they are fantastic! Thanks for the wonderful giveaway! It’s so cute, I’d love to win! Duckadilly is a lovely shop! Thanks for the giveaway! Btw, I have a piece of Liberty tana lawn bought by me as a 14-year old from the Liberty store in London in 1966! Would love to know its name someday. Wow! Thank u so much! I seriously hope I win! You guys are awesome! I LOVE Liberty! We used a beautiful pattern for the men’s pocket squares at out weddig last year. Thanks for the chance to win! I can just imagine what I would do with those! Those fabrics look fun! I’d love to win! Oh Liberty how I love you! What a generous giveaway. Thank you. Thank you for a new fabric shop to swoon over. I have become obsessed with Liberty fabrics and am planning a huge project just so I can use them all! BEAUTIFUL FABRICS! LOVE DUCKaDILLY-what variety! Thanks to you+DuckaDilly for a neat giveaway! Liberties are divine! Hopping to the shop now! Love love those fabrics!!! Thanks for a chance at this great giveaway!! Love this! Crossing fingers and toes! Oh my eye candy!!! I will most certainly go through the store ! Thanks for the chance! I don’t sew but I know my wife talks about liberty fabric often. It would be a nice surprise for me to win. These are lovely and it’s great to have a North American source for Liberty. I love these fabrics and they are so out of my comfort zone. My daughter-in-law just came back from London and bought us both 2 1/2″ charm packs of Liberty of London fabrics. It would be great to have a gift certificate so we could by more of these beautiful fabrics! Sweet, I would love to have some dreamy Liberty of London fabric to play with. Thank you Duckadilly. Thank you for Blogging about this fun shop today. I am now following them on Instagram. I have a few fat quarters of Liberty fabric I got during the Austin Shop Hop and I would more so I could do some fancy foxes! I’ve been lusting after Liberty for awhile…thanks for the chance to win! I wish I could go to Duckadilly’s, is the kind of shop of my dreams! I have never owned any Liberty- I would love to try some out. Liberty really does have a distinctive look. I adore their florals and how they colour them. What a generous giveaway. Count me in! Thank you both for an awesome giveaway! What a generous giveaway! And such a great chance to try liberty finally! Wow! This is an incredibly generous giveaway!! I’m heading over to Duckadilly’s shop as it is new to me!! Thanks for the chance!! Wow what an amazing giveaway! So super generous! 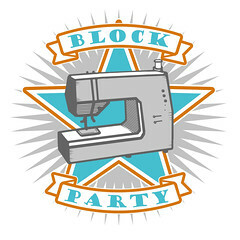 I’m pretty excited to find duckadilly too because I’m planning on making my parents a giant Libs Elliot Liberty quilt for their 70th birthdays- yay! Cheers for the chance! What a fabulous giveaway! Love the shop. Amazing giveaway! I’m slowly building up my liberty stash to make a giant double wedding ring liberty quilt and this would be a great help! i would love love love to make a fancy fox quilt out of liberty. it’s my dream! off to check out duckadilly! I love these fabrics!!!! I have never won anything online so I am optimistic that perhaps this will be my lucky chance–‘especially since these fabrics are so lovely!! Liberty fabric is absolutely gorgeous! Their prints are some of my favorites, and one of these days I intend to add it to my stash and make something beautiful! my very first Liberty purchase was with Lesley! how id love to make more as the winner! Ooh! Thanks for turning me on to DuckaDilly!! What an awesome shop! Thanks for the chance to win! i’ve got a dream to-sew list that is full of liberty lovelies for my little girl! Such fun things … it’s got my brain turning, just looking at all that loveliness. What a generous giveaway. Now if you’ll excuse me while I go and drool. Thanks! Oh, I am so grateful for this generous offer and I would LOVE to win. I have long admired Liberty fabric, which is hard to find in my area. I do want to get a yard to make my DGD a dress! And, I want to make myself something too, it is such beautiful fabric. Imagine what it would be like to work around all those delicious fabrics day in and day out? Heavenly! Like smelling fresh-baked bread every day! Oh, to have a bit in a quilt to add sparkle to our living room. Fun, fun! Wonderful fabrics – Duckadilly is a fun store! Those fabrics are drop dead gorgeous! I’m going to that website right now to drool over it all. All of those photos are gorgeous!!! Oh my! What a fabulous giveaway. Duckadilly a great word to use around the grandkids when I really mean &*%$! Thank you, Lesley and Ashley! This is an amazing giveaway. These are so beautiful – love the hexies! Thanks! Love your site. I have been looking for how to purchase Liberty fabrics in the US. Liberty!!! I love Liberty fabric. Duckadilly has such a wonderful selection. Thanks Lesley and Ashley for the opportunity to enter. I would love to win the chance to buy $100 worth of Liberty of London fabrics. I love Liberty! Thanks for a chance at such an awesome giveaway! Wow! Great giveaway. If love to finally add some liberty to my stash! liberty… a long time dream of mine!!! This fabric is just wonderful. Too beautiful to even use maybe. Just kidding. I can see the quilt already. Wish I could touch some. Oh, wow. I love Liberty of London fabrics. Thanks for the chance! Love these! Such pretty florals!! thanks for the oportunity. I love the little strawberry fabric! Plus a rainbow of colors – Yes, yes, yes! What lovely fabrics! I’d love the liberty-makes great ties, with lots left over to add to quilts. Thanks! There is not enough Liberty in the world – I’d love to own some more of it. I’m always happy to hear about a good source for Liberty. I is such a special fabric. Thanks for the giveaway! Gotta love Liberty! I am loving the new chambray she just got! I’d love to make a skirt for my girl! What a fantastic giveaway. Would looove to win some of those gorgeous fabrics. Beautiful fabrics! Many thanks for the giveaway! Fabulous giveaway!!! whoever wins will be so lucky!!! oh, gosh. i would love to make a liberty quilt. Wow. Such gorgeous Liberty fabric. Now, I’m totally wanting some! Those photos are so drool worthy, that I’m heading to Duckadilly to see more. Thanks for such an amazing giveaway. What a generous giveaway ! I would love to win and say thank you for the chance. Oh, I hope I’m due for a win soon. This one would be really, really nice. This is amazing! I’ve only dreamed of having some Liberty fabric. Love those fabrics! Would be so fun to go on a shopping spree! What a generous giveaway! Thanks so much for the chance. They are all so beautiful, I wouldn’t know which to choose. That beautiful rainbow bundle makes my heart sing! Thank you for the opportunity! I would love to add to my liberty collection, it is pretty small right now! That is insane! What an insane giveaway! I’ve never had even a single scrap of Liberty — just can’t afford it — so yes, this would set me up quite nicely!! Thanks for the chance! What a generous giveaway! And who can resist Liberty? What beautiful fabrics. Now I must go look and see what she has in her shop. Thanks for the chance to win and thanks for anew shop to check out. I would love to actually feel some Liberty fabrics. They are such the rage! This is an amazing giveaway. Thanks! Thank you and DuckaDilly for this wonderful giveaway! What a great opportunity! I am currently making a Liberty quilt – all hexagons. It might take forever, but it will be ALL MINE!! Thanks for the chance to win! Wow! Just wow! 🙂 I love all the fabrics! It sure would be a dream to win this one. Thanks for the chance!! Such beautiful fabrics! I would love to play with these!! Ooh I’ve been wanting to get my hands on some Liberty! Thank you for the opportunity!! Wow! What gorgeous fabric! Glad to know about that shop! I just recently bought that fox quilt pattern, this would be perfect!! 20 years ago when I first visited London, I wandered into a Liberty store. I didn’t even know what liberty was. I remember buying a change purse that lasted for years. I know now what all the fuss about liberty was. What a great giveaway. Hope I win. Still, I have shared your giveaway on my giveaway roundup at wowilikethat.com. Good luck to everyone, me too. Thanks again. Love DuckaBilly! Would love to have $100 for Liberty fabric! Awesome giveaway and what a fun store name! Best giveaway ever! Drooling as I type! I love liberty!! So glad to know about this shop and the chance to buy charm packs – and would love to win! Thanks!! I’m lusting big time over those Liberty of London prints! Wow! Beautiful fabric and awesome prize! Thanks so much. What a great giveaway! Went over to the shop and found some beautiful prints. Fingers crossed! I love Duckadillys shop! It is droolworthy for sure. i really love those fat 32nds! Awesome. I love English Paper Piecing and love those hexagons too! Thanks for the opportunity to win! Liberty fabrics are my favorites!! The prints are so dreamy! Love them! 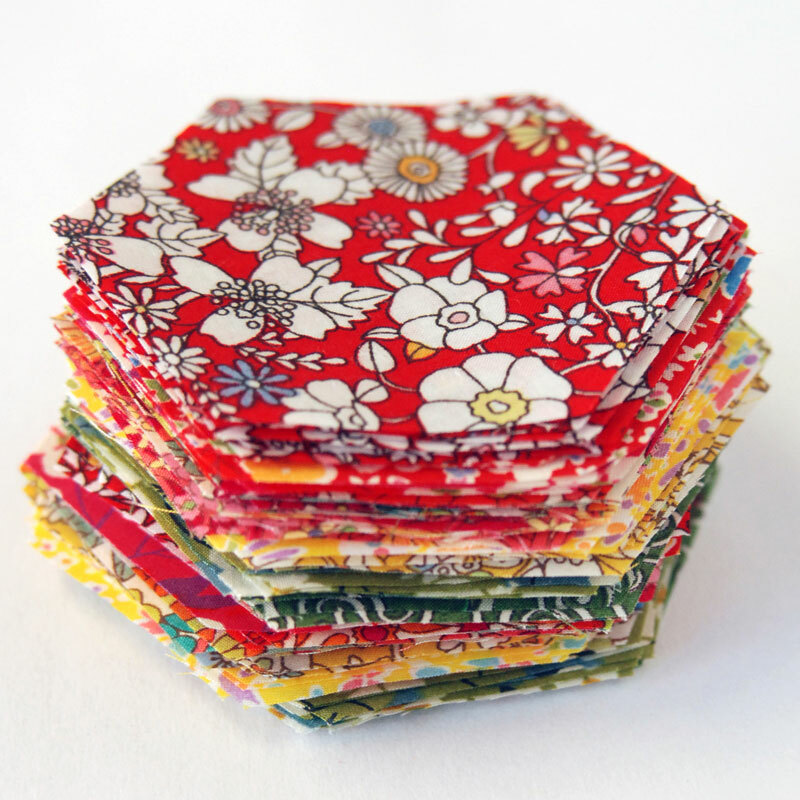 I’ve always wanted to try some Liberty fabrics – they’re so pretty! Next time I’m visiting family in MI I’ll definitely look up this shop! Liberty fabric is beautiful. Someone on Instagram posted a picture of her small pieces of Liberty fabrics, in little white frames. (? flossieteacakes) Thanks for the great giveaway! This is an AMAZING give-away!!! I think I might order the Fat 8th club, it’s just too good!! A Rainbow charm pack of Liberty! Yes please! Thanks for the giveaway. What a great giveaway–thank you. What a wonderful giveaway from DuckaDilly!! 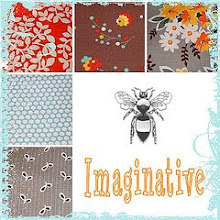 Love their online shop & the yummy Liberty fabrics!! Love this shop. I actually have a wishlist so if I won I would make a dent in that. What a generous giveaway! Thanks for the introduction to DuckaDilly! Pick me! I love all the Liberty fabrics and would love to finally make a quilt for myself! I usually end up giving them away to very special people. I do love Liberty! Thanks for the great giveaway. That is an amazingly generous gift! “Give me Liberty or give me……” :). Thanks for the opportunity to play with something new. Oh how I love Liberty but it always seems to be out of my price range! I’d love to win this! Who wouldn’t? Love Duckadilly. Liberty is so beautiful. I’ve loved Liberty ever since I first did garment sewing with it 40 odd years ago. I’ve been wanting to make a quilt with it. Thanks to you and Duckadilly for sponsoring this. Oh what a lovely treat from a gorgeous shop. Her IG feed is one of my favourites! I’m making a liberty HST quilt with some fabric that I bought in London a few years ago. It’s my first (and probably last) hand peicing quilt. I would love some more to add to it so it’s a better size to snuggle under on a cold night! Such beautiful fabrics, a great shop, and a generous giveaway! Thank you! What a generous giveaway and beautiful fabrics! Love Liberty of London, especially the florals. Hope I win! love the many soft colors of liberty! Love the name DuckaDilly! Thanks for the opportunity to win this generous giveaway! Pick me! Oh my GOD! This is amazing. I am seriously jealous (in advance) of whoever wins this! wow!!!! how great is this giveaway! going to the site now! thanks! What a generous give-away. Good luck everybody! Thanks to you both for this amazing giveaway. I sure do love Liberty! Thank you for the lovely giveaway! Great fabrics in the shop!! That is so awesome of a giveaway! I stopped my subscription to the liberty fabric club I belonged to which has made me sad, thank you so much for the giveaway! This would be my first liberty fabric. I always drool over it when I see it here on your blog!! i can see why this is a very popular giveaway. I love the rainbow roll. Soooooooo pretty…keeping my fingers crossed! So much talk lately in blog land about Liberty! !…love the colors love the prints…Please pick me!! I just bought a jelly roll from duckadilly , I love it. I need two but the postage makes it pretty exsy. Their postage times are great. It was in Australia in a week. Oh, wow!!! What an amazing giveaway! I would love to be so lucky! Love the name and Liberty Fabrics. Would love to win. These are all fabulous! I love them all! LOVE, LOVE, LOVE these fabrics…thank you so much for a chance to win gift certificate to the shop!!!! Good luck all!!! The stash pack looks like a great way to be introduced to Liberty and would be a great way to use the generous gift certificate! The fabric is soooooooooooo beautiful! Thanks for the giveaway! I’d love to win, thanks for the chance. What a generous giveaway, I am now dreaming of liberty fabric. Be still my beating heart! The Liberty club is great – and now you have me thinking about jelly rolls! This is an amazing giveaway. Thanks for the chance to win! I would love some new fabric! Indeed to add to my stash. Awesome giveaway! All that Liberty is so gorgeous! Thanks for the opportunity! Oh My! Let’s see if I can quit hyperventilating long enough to enter the draw. Thanks to both of you for the chance. I have so.many. Choices. What would I pick? This Liberty fabric is GORGEOUS! I pinned the shorts made with them the other day. Would love to make those and a quilt – eeee! Thanks so much! Gorgeous fabric thanks for the chance. I just purchased a liberty jelly roll…loove it. Would be soo easy to spend another $100! Thanks for the chance, it’s a beautiful shop! What a super generous giveaway. Thank you. Thank you for the chance to win. Duckadilly has beautiful fabric! What lovely fabrics! Thanks for the opportunity to win. What a wonderful giveaway. thank you for the chance to win. I have been following you for a while and love the pictures and inspiration! Would love to win. Thanks for the competition ! The prettiest florals out there, no question. I’m a total Liberty fanatic – so much so that my husband teases me about my collection of Liberty trainers. Thanks for introducing me to DuckaDilly! I’ve been itching to make a Flying Geese quilt with Liberty fabric. I love Duckadilly so and all of the wonderful Liberty prints! Thank you so much! Finally! A store located in the US that sells beautiful materials. Liberty is simply gorgeous! Please toss my name in the hat of this generous giveaway. Would love to win, thanks so much! I don’t have any Liberty fabrics yet, would love to start a collection. I will check out Duckadilly! Thanks for the giveaway. Wow! That is an extremely generous giveaway! Oh my! What a fun giveaway! I’m browsing their site now to see all the lovelies they have! How inspiring! 🙂 Thanks!! I would love some Liberty fabric….it’s gorgeous! Wow, what a great giveaway. I would love to sew some liberty fabric. What a wonderful selection she has! Wow, generous indeed! I’ve never worked with Liberty fabrics before but I have heard nothing but raving reviews! Thank you for the incredible giveaway! So much Liberty goodness! Thank you so much for the lovely giveaway! Hi. I love liberty. I have shopped at Leslie shop a couple times after reading about her from you. One can never have too much fabric, I would love to win. Thanks for the opportunity. Thank you for the introduction to this great shop! Thought I would put my comment in on thr very off chance……but I’m going right back for a thorough look..
Give me Liberty or give me death! Ha – love it all, and thanks for the chance, Ashley and Duckadilly. I need to get some of this wonderful fabric. It’s just beautiful. It would be really fantastic to win. Oooooooo! I live in Ann Arbor and had no idea! I must visit soon. Oh wow, it would be amazing to get some Liberty prints for a special quilt. The name is so cute. I checked out the shop and the fabrics are lovely. I appreciate you introducing this shop to me. Cute shop. Thanks for the giveaway! Lesley has a lovely shop. Thank you for the giveaway and the code. Love Liberty prints! So pretty. Thanks for a great giveaway! Thanks for a fantastic giveaway. I love Liberty fabrics! Oh, I do love liberty. Thanks for another lovely giveaway. I’ve never seen Liberty in person! What an amazing giveaway! Id live to be able to indulge in some Liberty fabric – it’s so beautiful!! These fabrics are absolutely gorgeous – thanks for the chance to win some – such a generous giveaway too. Everything you make is more beautiful with Liberty! Thanks for introducing me to this lovely shop. Thank you for showing us a continual suppy of inspiration! Thank you Ashley for the fantastic giveaway! I think this is my favorite type of fabric. I must be an old sole at heart. Thanks for the chance to win. Oh fingers crossed here, I have been brewing a liberty plan for the last few weeks and this would really get it going! Gorgeous. Love that name. Lots of temptation there! Ooh, thanks so much for the giveaway! I love this shop plus they carry a lot of quilt patterns I’ve been drooling over too! Ooh these are such gorgeous fabrics and a great way to be able to purchase them. What a beautiful shop! Will definitely have to do some shopping! Love Duckadilly and love Liberty!! Love the shop, great give away! Thanks. Woah what a generous giveaway to a lucky person! I love liberty fabrics. Thanks! A Dilly of a give away! I’m excited to give the shop a whirl and have a look see. Thanks for the offering the give away here. I love Liberty fabric – so soft & the print details are incredible! Wow, what a great selection of Liberty. I love the Liberty Lifestyle fat qtr collection in blue. Thanks. Fantastic prize! Someone is going to be SO lucky! Oh my gosh! I’m OBSESSED with Liberty! I just recently finished a dress in Matilda and already started another in Betsy. Thank you for this amazing giveaway. The Duckadilly shop is beautiful! I don’t have any Liberty of London in my stash. They are lovely! Am I dreaming, such a wonderful offering! Thanks so much for the chance to win! I don’t have any Liberty of London, so I’d love to get some. Thanks for the chance to win! Nice shop and a generous giveaway. I agree it is a great name for a fabric shop. Oh what a lovely giveaway, hope I win! These fabrics are absolutely yummy! I’m off to visit the shop for a better look! These are lovely, thanks for the chance! Best giveaway EVER!!! 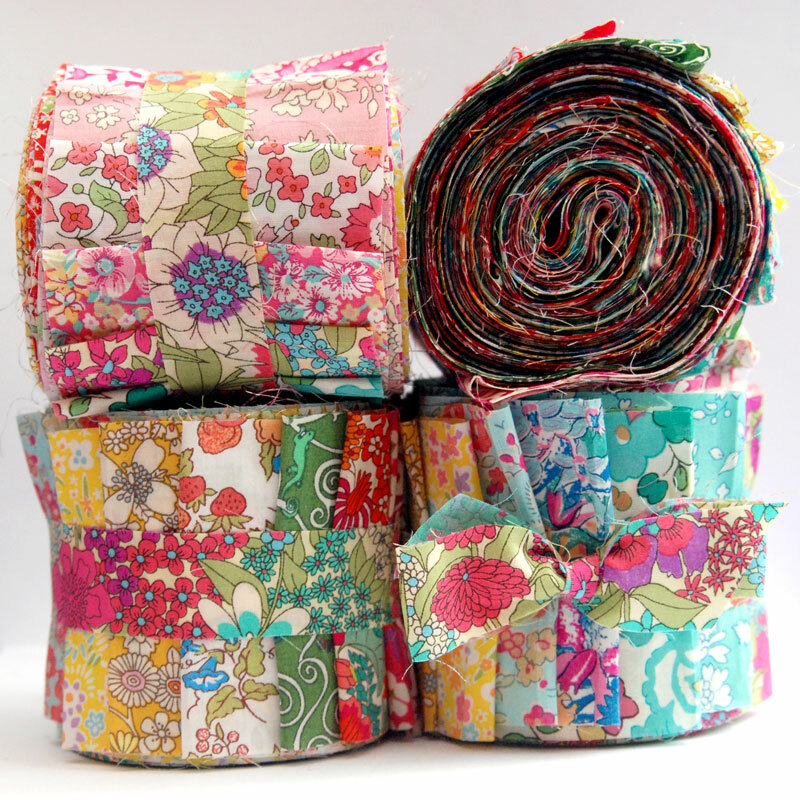 I’m swooning just looking at those beautiful rolls of Liberty…..
What a generous giveaway….love the fabrics! what a wonderful giveaway and such beautiful fabrics. have a great weekend. Thanks for a chance at a great giveaway! I love Liberty fabrics and could sure use some more to round out my stash! I’ve been trying to collect enough to start on a scrappy quilt. I am in love with Liberty of London and all the beautiful colors they make. Thanks for introducing this lovely shop and thanks for the giveaway. What lovely fabrics, so sweet! Thanks for the chance to win! This is a great giveaway! Liberty Fabrics are my new fabric obsession! Beautiful fabrics – what a great giveaway!! Love liberty fabric. I have scraps of it I got somewhere and they’re wonderful! I would love to make a Union Jack quilt using Liberty prints! I will check out the shop. Thank you for hosting the give-away! I am so excited to have found this shop. I love Liberty Fabrics, and this is fantastic that they are all in one spot. And, a monthly club . . . what a great idea! Liberty!!! How much yumminess can a girl stand! Thanks for the giveaway. Also for the background on the shops name. I always wonder how they come up with them. What a nice bit of the personal side of such a legendary man. Too cute. They have so many lovely Liberty prints on their website. This giveaway is so generous! Love, Love, Love Liberty fabrics! I continually contemplate joining the club. Thank you for the chance to win! Would love these great fabrics for baby quilts for kids at the agri-business workers’ children’s center. My quilting group would be right on it! Liberty of London is the best, every design a work of art. What a great opportunity; thank you. I think I may have to just drive over to their shop since it’s. Not too far away. Lovely fabrics. Thanks for the chance to win. I love all the projects I’ve seen online using Liiberty of London fabrics. I need to add some to my stash. Thank you both for the giveaway! I love liberty fabrics! I’d get yardage and make city gym shorts for me and my three daughters! I love these fabrics!!!! Thanks for the generous giveaway. What gorgeous Liberty! My stash can never be large enough……. Oooooh, I’d love to pair this with some shot cotton! Wow! The Liberty fabrics are so fresh and inviting. Thanks for sharing the Duckadilly (love that name) site with us. I’m checking them out. I love Liberty!! Thanks for the chance!! These are some beautiful prints! Please add me to this giveaway! Thanks, now I am off to check out DuckaDilly! wow! What a generous giveaway! And I love the name as well! Lovely fabrics! Thanks for the opportunity. Gorgeous fabrics! Thanks for the generous giveaway! Oh, I would LOVE to win!!! Thank you for the opportunity!! Beautiful fabrics. I would love to win. Love this shop! Thank you for the giveaway…love the name Duckadilly! What a LOVELY giveaway! Thank you for the opportunity. Really cute fabrics! I like their Duckadilly name too – makes me smile. What an awesome giveawa.Thoese are a bloom garden, love the jelly rolls and your hexies! Ooooh! Lovely fabrics! Thanks for a chance to win! I see hexies galore if I win! Wow, what a great giveaway! This would make that double wedding ring liberty quilt a reality! Thanks for the chance to win. What a fabulous giveaway! Thanks for the opportunity to win. SO LOVE THESE FABRICS AND SO HAPPY TO FIND A RESOURCE FOR LIBERTY!! THANK YOU! I would love to win, need to make quilts for my grandchildren. Love Liberty fabrics!!! This would be awesome to win. Thank you for this opportunity! Nothing more beautiful than Liberty fabrics! what a special giveaway! in the process of making 2 baby quilts with liberty of london fabrics and this would make a lovely addition! thanks to you and duckadilly for this fabulous and generous giveaway! Wow! Nice giveaway, thank you for the chance to win! so so cool, would love to win!!!! I have fallen in love with the Carline fabric! Thank you all for the giveaway. I love all of the liberty prints! What a generous giveaway and a great way to purchase some liberty fabrics! Thanks for the chance to win! I’ve been very tempted to add some Liberty to my stash. Wonderful giveaway! Thanks for the introduction. Beautiful fabric, thanks for the chance. Oh Random Generator please pick me!! Thank you for the opportunity! Beautiful fabrics. I make clothing protectors for our extended care facility and this fabric would brighten their day. Love your stuff! Thanks for a chance to win! What lovely fabric and a great giveaway. This is one giveaway I am really wanting to win…please please please! I did visit the shop and I am so glad to be introduced to it. What amazing quilts could be made with this fabric!!! Wow!!!! What a generous give away!! I will definitely have to stop by the next time I am in Ann Arbor! Ii’d so love to make something with some Liberty prints. Great giveaway, thanks! This would be the one in a million chance!! Oh my gosh, I just checked out this gorgeous website–my Liberty stash is tiny but it makes me so happy. Thanks for an amazing giveaway and a chance to grow the stash! Coveted these lovelies for a long time…could it ever be? Every time I think I have a favorite Liberty fabric, I find a new one that I love even more. They are so beautiful and feel so nice! I love Liberty fabric. I’ve always wanted to make dresses from it for my granddaughters. Beautiful fabrics and I love the name of the shop. We travel by Ann Arbor sometimes and I didn’t even know it was there. Will have to visit there next time. How exciting it would be to win 1 of these lovlies! Thanks Ashley and Dukadilly! Gorgeous, gorgeous, gorgeous. Thanks so much for the opportunity! This is a lovely giveaway and it is a really nice shop. Thank you for the chance to win. 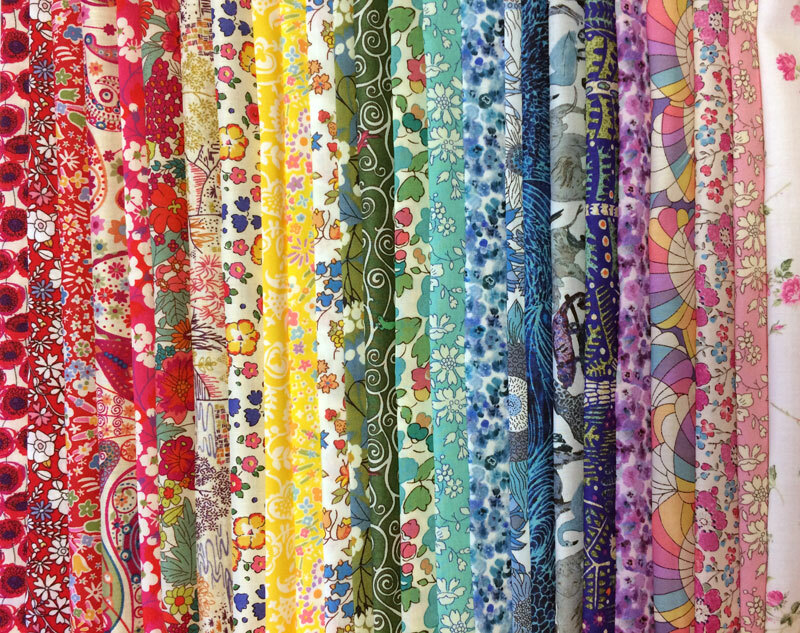 I love Liberty fabrics and one of those rainbow jelly rolls would be absolutely perfect for one of my projects. Thank you so much for such a wonderful and generous giveaway! Love,love,love these colors! Love ducks, love Lillie’s! Thanks for the raffle entry! I love Liberty of London fabrics. They are so delicious! Wonderful giveaway! Wow! I am so smitten with Liberty prints. What a fabulous give-a-way. I can’t wait to make a quilt! I have been coveting these Liberty fabrics for a long time. I would love to win. I love the shop name, and oh my gosh what a fabulous giveaway. Thanks. I would love to get some Liberty Fabrics. Awesome giveaway & such beautiful fabrics! I would love to win this beautiful fabric. I am currently on a fabric diet…need to use up stash before I buy anything. I have a little bit of liberty – enough to make a cushion cover perhaps – but I would love to have enough to make a proper sized quilt. Happy Saturday! Oh, what a great giveaway, I have some Liberty fabrics, but you can never have enough! Thanks for the chance to win! Beautiful fabrics! Thanks for tote great giveaway. OHHHHH how I adore Liberty fabrics, really who doesn’t! How generous – Thank you! I will check out DuckaDilly! What yummy fabrics! Love the site! I’ve never used Liberty but they are all so gorgeous! The Liberty fabrics are lovely. Thanks for introducing me to this shop. Fabulous giveaway!! And gorgeous fabric!!! To Liberty of London town! What a great giveaway! Their selection of Liberty is so tempting! I am coveting the blue, purple, green jelly roll. Love liberty fabrics…they are so soft!! Would absolutely die if I won this. Really and truly. I’ve been oohing and ahhing and sighing wistfully over Liberty fabrics for such a long time — but have never splurged! I’d love to have some to call my own. Liberty Fabric! What a beautiful selection! Oh how I would love some Liberty of London fabric. The last time I was in London I spent time poring over gorgeous fabric at liberty’s! Would love the chance to add to my stash! Thank-you for opportunity and inspiration! I love the great florals at DuckaDilly. Thank you for showcasing new fabric lines and taking us along on your quilty journal. Love this line of fabric. It is so pretty and I could think of so many things to use this wonderful fabric for and would love to win the contest. I’ve been thinking about getting some Liberty lawns for my stash. I was pleased to find a source of Liberty of London – we were stationed in England for 3 years and going to the Liberty store was so much fun. Ii’m new to Liberty fabrics. But I’m glad I saw this giveaway. Love the colors they really pop. I’m sure in the future I’ll be buying a lot of liberty fabric. Love Liberty! Need I say more? Those photos are lovely — makes me want to go sew right now! It’s so fun to learn about a new shop – thanks for the introduction to DuckaDilly and the chance to win some of these gorgeous fabrics!! Best of luck to them! Ah, lovely Liberty….gotta love it. The Cotton that feels like silk! what a lovely give away. Hope it’s my lucky day! I love this shop! I am going to check out the charm packs! Liberty fabrics are the most beautiful ever! Hope to win. Liberty fabrics are the most beautiful ever! I have loved Liberty for years, I’m finally working on my first ever liberty quilt, and I need more fabric! What a wonderful giveaway! Thanks for the opportunity to win some goodies. Lovely fabrics. Thanks for offering such a generous giveaway! LOVE-LOVE-LOVE Liberty cloth. This is fab giveaway. Thanks! Great giveaway, thanks so much for the chance to win! this is awesome. liberty for all! thanks. Having just finished a quilt for my eldest daughter to take with her to an out-of-province university, I am at loose ends as to what to start next. A 100 dollar gift certificate to buy some lovely Liberties would certainly point me in the right direction. Thanks DuckaDilly! So generous! I would love some Liberty 🙂 they have such a fabulous range. Lovely giveaway. Thanks for the chance! DuckaDilly! The fabric is so pretty. I’d love to have a quilt for me made from this line. Thanks for the chance to win. Please pick me!! 😀 I’d love to win!!! Great giveaway, and great store; I love all the Liberty! 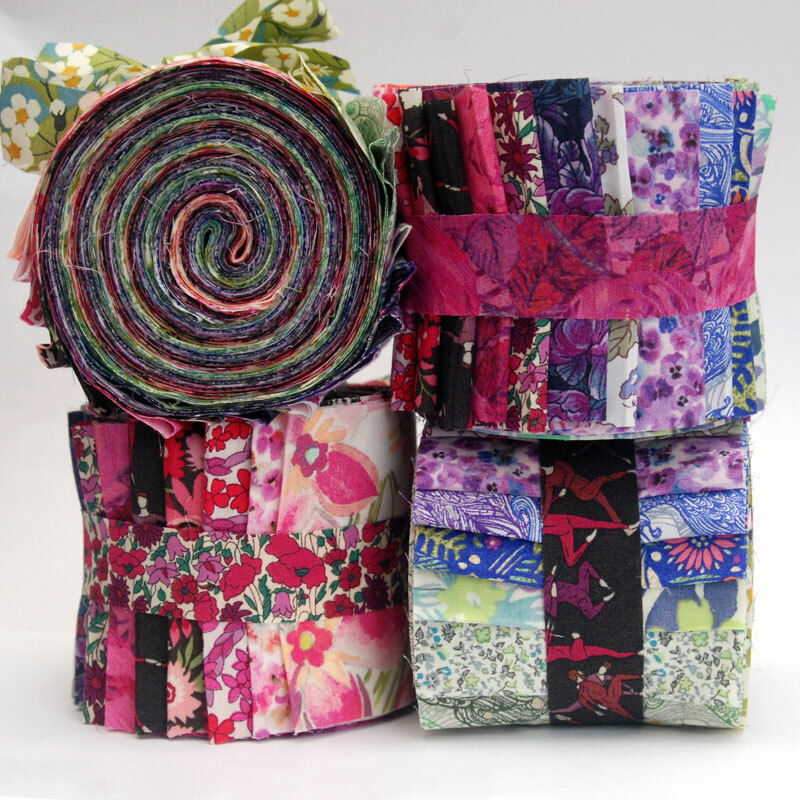 What a great giveaway, who wouldn’t love some Liberty fabric. Thanks for the chance! Wow, such a great giveaway! I’d love to finally add some Liberty fabric to my little stash. Thank you for the chance! I have never sewn with liberty fabric…I would love to give it a try. Ohhhh how amazing. Love liberty. I wish I hadn’t gone and looked at the lovely fabrics. So gorgeous. How beautiful! Please let it be me!!!! DuckaDilly has the most beautiful selection of Liberty fabrics. I just spent some time looking at all this scrumptious “eye candy” they have. The way they group the fabrics in bundles of joyous colorful packages. I don’t think anyone could go away without a smile on their face, once they’ve seen how pretty they are. Just something about the cheerful colors that always puts me in a happy frame of mind. Thank you FITF and DuckaDilly for such a “sweet” and joyful giveaway! Oh, how I love this fabric! What a generous giveaway. I will definitely check out this shop. Beautiful fabric collections! Thanks for an opportunity to bring some home! What a cute name, and such a generous giveaway! Thank you! These fabrics look lovely. Thanks for the chance. Lovely shop! What a great giveaway! Wow! What gorgeous fabrics and a generous giveaway. Sewing dreams come true. Oooh such gorgeous, gorgeous prints – oh the lovelies that can be made with them! I love Liberty – I have my eye on that amazing Chambray that they have. Gorgeous! I love looking at all of the loveliness at DuckaDilly. The Liberty fabrics are so scrumptious! I can’t wait to have some in my stash. Thank you! What a beautiful shop and generous give-away! Thanks for the chance to win some amazing fabric!! Just one more reason to visit Kerrytown! First Zingerman’s, now this — I should just move back to Ann Arbor and save myself some travel time! Thanks for the giveaway. Love the fabrics and will definitely check out the website. What a great shop and an amazing giveaway! Thank you! What a gorgeous store, and I love their name! I appreciated learning about another great store and I will be checking them out. Thank you for the opportunity to win the gift certificate. Ooh. La la…. Would love to win this!!!! Thanks for the chance. Love Liberty fabrics..so soft to the touch. Thanks for the great giveaway! I’ve never owned liberty of London but have heard so much about it! Would love to win! Glad it’s still open to sign up for a chance. Such a generous giveaway! I would love some liberty to play with:) thanks for the chance! oh man. a charm pack would be lovely. Beautiful! Love the giveaway. Thanks for the entry! They’re so pretttttttty! & Duckadilly is an awesome name! Thanks for the giveaway! Gorgeous!! I need all of it! Count me in! What a great giveaway. Thanks Duckadilly! I have been debating about signing up for the monthly Liberty club, but have yet to pull the trigger on it! Ohhh I love Liberty fabrics. Thanks for the chance at such a generous giveaway. Beautiful fabrics, good to have so many size options to purchase. What a lovely giveaway. Count me in. Holy smokes what an amazing giveaway! I’m on a fabric diet so I can pay for my daughter’s wedding, so this would be extra sweet! Thanks! Love it! Thanks so much for the opportunity! How absolutely drool-inducing! Thanks for the fantastic giveaway!